Creativity is not just some frivolous concept or a privilege for artists. It is an essential trait, regardless of your profession, age, gender or beliefs. You need to be creative to navigate everyday situations successfully. You need your creative thinking skills to solve problems, grow a business or do your job well in any industry, find your purpose in your life, foster friendships and relationships. You need creativity to raise kids and build a family, or to be alone and fulfilled. You need it to discover your full potential as a person, and to find ways you can contribute to the greater good. In other words, creativity is a must for survival and meaning. With the stress and pressure of everyday life, however, creativity can be sometimes hard to come by. There are moments or even long stretches of time wherein you find it difficult to find your focus, to hear that unique voice inside your head or refuel that system of thinking that allows you to see things beyond the superficial. If you’re one of those people who feel that they live day in and day out in an almost automated state and you think that your creative well has already run dry: you’re wrong. Creativity can be refuelled and reinvigorated through various techniques that require just your time and commitment. 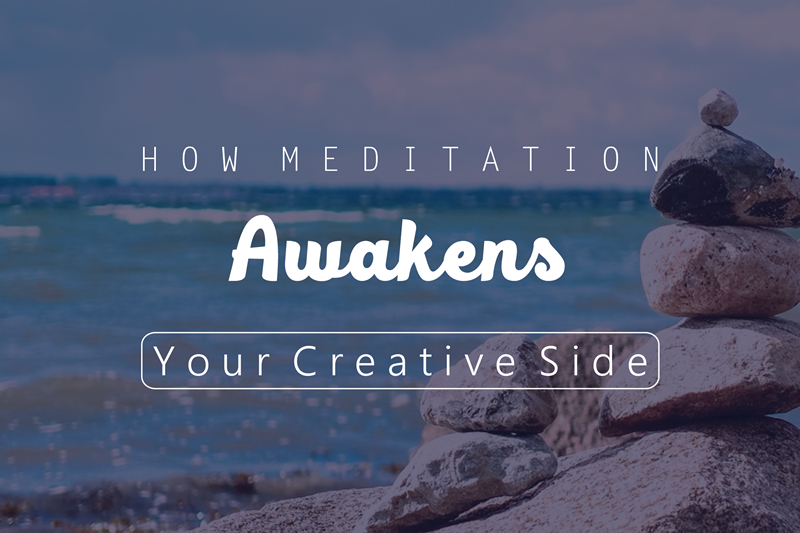 And one of these creativity-boosting techniques is meditation. Calmness. It’s hard to hear your creative juices flowing when your mind is filled with thoughts, worries and anxieties of the day. Meditation teaches you to control your thoughts, quiet down your surface mental chatter and eventually make your authentic inner voice become audible to you again. Insight. Science has proven that the brain can be trained to be creative. When you meditate, you learn to develop a map for your ways of thinking and feeling that will foster the conditions that creativity needs to flourish, such as insight as well as a sense of compassion and sharp perception. Confidence. Meditation improves your self-confidence because it teaches you to be kind to yourself. When you are kinder to yourself, you will be less prone to worrying about failure or disappointment. This is one of the reasons why some people say they become braver and feel psychologically stronger due to meditation practice. Imagination. A bold and colourful imagination is important to be creative, and imagination can enrich your reality as well. Unfortunately, the imaginative life tends to take a backseat when a person enters adulthood. With meditation, especially through the use of the guided imagery technique, your imagination becomes healthier again, allowing you to reimagine your world and deconstruct your life so you can make it better, more beautiful and more meaningful.